How does ACA law work for expats? Or for those traveling and visiting other countries throughout the year? This is a question we get quite often from many of our international clients. 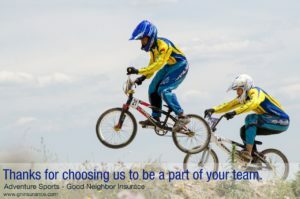 Good Neighbor Insurance also provides international medical insurance for expats living overseas long term. Here is the summary of the H.R. 4414 law that was passed late last year. Keep in mind the key here is spending more than six months out of a calendar year outside the U.S. If you spend less than six months per calendar year overseas than you have to obey the ACA (affordable care act) laws. If you do not get health cover in the U.S. you will be then penalized/taxed. If you have any questions call us at 480-633-9500 here Phoenix Metro, Arizona. Or email us at info@gninsurance.com. Here is the link to this law, https://www.congress.gov/bill/113th-congress/house-bill/4414, as well as this law shown below. Blog Home > International Travel Insurance > Term life insurance > 2014 - 2019 updates > How does ACA law work for expats?